As I continue to talk about my trip to the middle-south, I move from the Civil Rights Museum to Sun Studios. 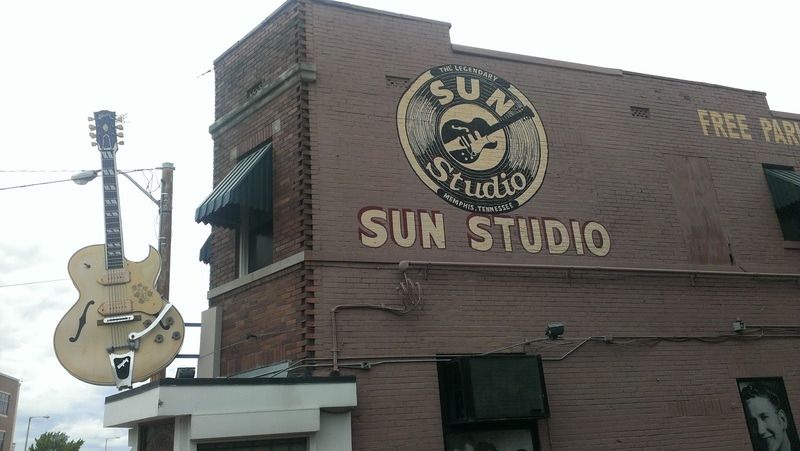 As you probably know, this was the place where history was made for the likes of Elvis, BB King, Johnny Cash, Jerry Lee Lewis, Carl Perkins, Howlin' Wolf and many, many others. The actual recording studio is very much in the state it was when they recorded, right down to the ceiling acoustic tiles with water stains. The place is sacred ground to any music aficionado, me among them. While it was not much of a tour and not much to look at, I couldn't help but appreciate just being there. There is even a picture floating around of me mugging with the famous "Elvis microphone," but I'll save that for a later date. 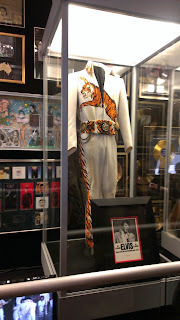 It was actually a great segue into the next day when we toured Graceland. 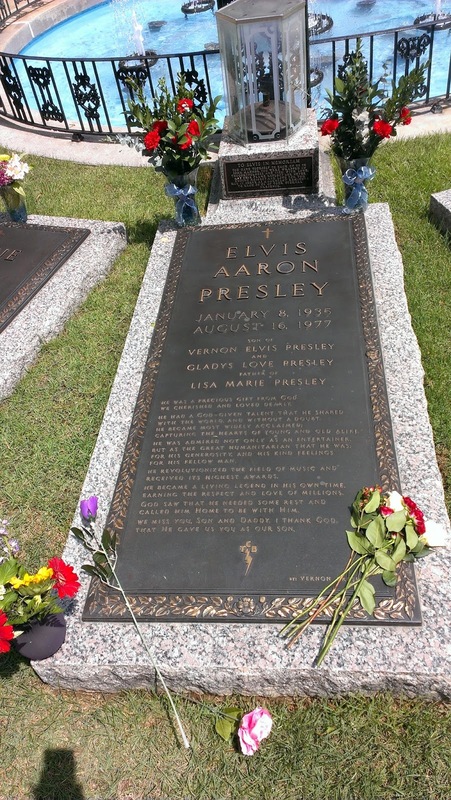 We are both brutally aware that Graceland is a big tourist trap, but much like Sun Studios, it's just a place you need to go. Sacred ground again for all music lovers. 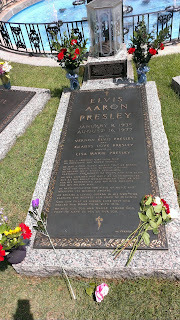 Graceland was everything I imagined it would be. Excess and splendor from wall to wall, room to room. It was cool just trying to imagine the dignitaries, rock stars and movie stars that might have been there. There were rooms with his gold records, his jumpsuits, and lots of recreational rooms. At the end of it, we were led past the grave sites of he, his parents and his twin brother who died at birth. (Something I never knew.) Then we were taken back across the street to see his automobile collection, which was equally impressive. The man had too much money. Which leads to the real story. At the end of the tour, we were able to watch a 12 minute video of his greatest performances. They were moving and all of them featured a young, healthy Elvis. We left with a certain nostalgia for the old King. But we commented on how little was mentioned of his tough years when he was heavy and sadly addicted to prescription meds. We looked online for the story about his life and were shocked and saddened about much of it. Part of the sadness was how little we knew or remembered about his story. I won't go into the details, but suffice it to say, he had a rough go of it for much of his life. He was the poster child for Rock Star burnout and it's too bad, because he had so much talent. 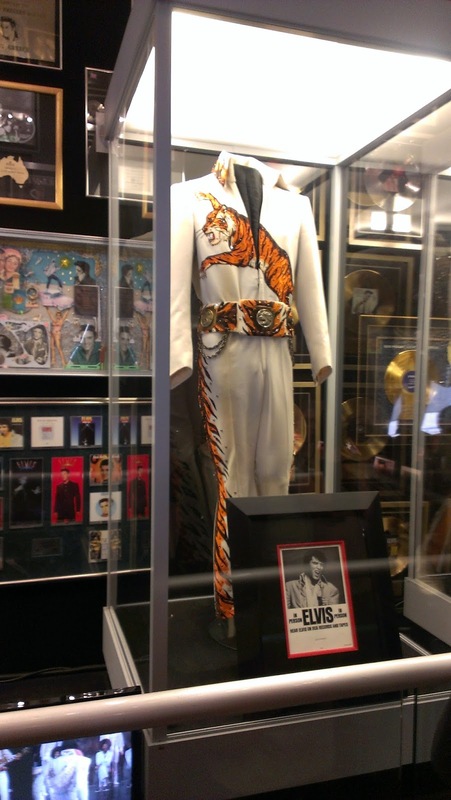 The trip through Graceland brought the whole tour of Sun Studios back around full-circle. I'm glad I went to both. I forgot to mention that the night before we went to see a funk/soul/fusion band in Memphis called Free World. They rocked the place, but the coolest part of the night for myself, was meeting the sax player the Dr. Herman Green who was 85 years old. He played sax with BB King for a number of years. I got to talk to him for a couple of minutes and it was nothing short of a privilege. I can only hope to be alive at 85, let alone clubbing it playing sax. It's something to shoot for, though. I forgot to mention...forgot to mention Memphis.